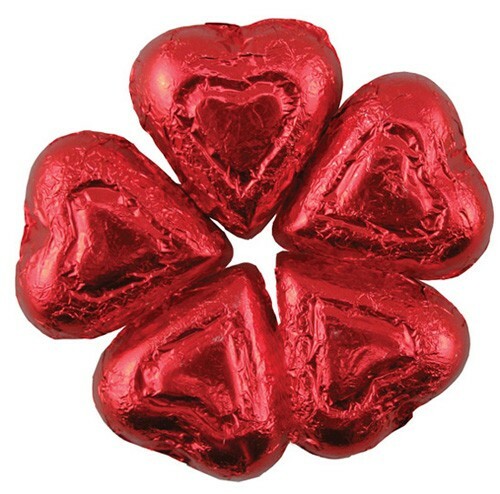 0.32 oz chocolate candy hearts wrapped in red foil. Bulk packaged (pricing per piece, about 100 hearts per lb). Makes a great food gift or valentine''s day holiday gift or promotional giveaway. Custom Imprintable with 4CP label attached to the back or flat side of the piece.. Available in red foil and milk chocolate only.